EduCanada Colleges and Institutes Orientation Seminar | Mercan Canada Employment Philippines. 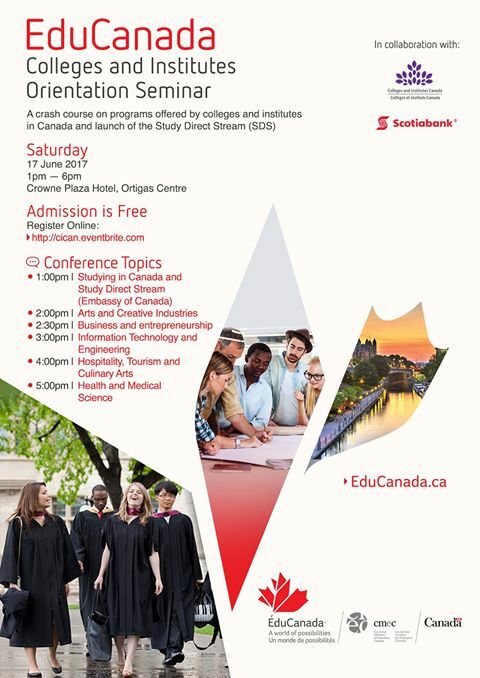 Inc.
EduCanada invites you to a FREE Colleges and Institutes Orientation Seminar this coming June 17, 2017 at the Crowne Plaza Hotel – Ortigas. This event is funded and supported by the Embassy of Canada in the Philippines.